Short, sweet, understandable and useable! CRAIG, THIS IS GOD, I think I need a lighter leitmotif for this sorry vessel, perhaps in a major key ? I'll try another one in a bit and see how it goes, I have some ideas that I have not seen presented on GJ as they are a bit off the beaten path (there are plenty of great GJ's lessons on the net already of course). vanmalmsteen it is a Dupont VRB which is a great guitar, I have found a lot Dupont's share similar characteristics to this guitar. 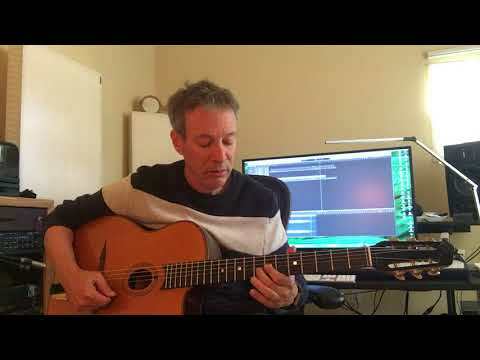 I had an MD-50 and sold it to the other guitarist in the Idiomatiques and it contains a a similar feel and closeness of sound though I prefer the VRB. I think for the difference in price most people would choose the MD-50, probably more info than you asked for. Thanks Craig. Really appreciate you sharing these types of ideas. I have quite a few ideas for new videos. They focus on playing GJ but have a bit more broad reaching concept behind them. There are plenty of great vids that teach licks and traditional GJ. My aim with these are to display concepts which hopefully will allow one to discover different paths on the instrument. A lick is like giving a man a fish and he eats for a day, this is liking teaching fishing skills (I actually have no idea how to fish). That said certain licks can be jumping off points to further study, it depends on approach. Thanks for putting in the time and annoying your bandmates. I have some more stuff coming to potentially bother them, but if you have enough approaches up your sleeve they will forget about it in due course.